It may sound as if I am repeating what has already been said when I say that I share the sentiments expressed by both Mr. Dhanapala and Prof. Munasinghe. To me, as a citizen, the 19th Amendment brings new beginnings. I say that because, sometimes we suffer in this country from a collective sense of amnesia. We also know that this country has many good laws. But our problem is that even when we have the law in the books and we do not implement it. However when we look at the 1978 constitution we note the fact that law was not in place because we had many restriction on the democratic process and it was a law that needed to be changed. It was distressing to see the debate on the 19th amendment and I think that is why I said we have a collective sense of amnesia, because we know as citizens what happened and how the constitution is interpreted and particularly through the 18th amendment how we saw how a government which had come into power with massive peoples power eventually dismantled democracy. It was distressing to see in parliament what should have gone through with absolute consensus, as an opportunity for democracy had to be negotiated in a process that in my view, undermined some of the opportunities for Constitution making. As a lawyer I have to say that the 19th amendment is a reflection of new beginnings, but as a lawyer I want something more, I want for this country fundamental constitutional change and constitution making because that is a challenge of a country that has emerged from a period of armed conflict. That has been the experience of nations. A new constitution in a participatory consultative environment which is not top down, can address the need to heal wounds, and to really make for fresh beginnings. And I certainly hope therefore, as a citizen of this country, every single party that is seeking our votes will come forward with an agenda of complete constitutional reform. Having said that I also recognize the difficulties of doing that in the kind of adversarial political environment that we have. And it is therefore in that context that we have to see the 19th amendment, as Dr. Jayantha Dhanapala said, as creating the opportunities for democratic culture and for addressing the democratic deficit that we have seen in this country. It is that context that I would like to make a few comments to add to what has been said by the other speakers. 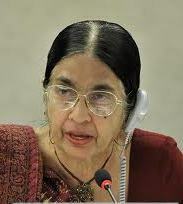 *Prof. Savitri Goonesekere made this speech at “19 A: Landmark of Democratic Revival” a panel discussion and Q & A for the diplomatic community of Sri Lanka on the 19th Amendment on June 16, 2015, 4pm at Jaic Hilton. The transcript of the speech was provided by the President’s Media Division. Thank you for your frankness to question the government its various improprities, eg political patronage by creating various horizontal and vertical levels of ministers. Thank you very much Professor Savitri Goonesekere for pointing out why Democracy and Law and Order are critical for a uncivilized society on the way to civilization. Amarasiri used the term, uncivilized to describe Sri Lanka, because based on many ratings, Sri Lanka is uncivilized mostly after independence. 19A, gives an opportunity and path to civilization for Sri Lanka. However, will Sri Lanka remain uncivilized bt not implements its civilized Laws? Will the rule of law prevail? Need to hang most of the murders for a start, and put the crooks and criminals in jail, hard labour. The fuel of 19 A should be the collective effort all communities to set aside their petty politics and focus on research, development and increase their individual productivity. Democracy is a sinking ship heading towards the bottom and here we have the people around the world who have virtually come to lose their trust and confidence in their game of democracy. So you see them searching for an alternative to the oppression of capitalism whilst you O Muslims are those who possess that alternative. Sri Lankans have to choose a system that produces results. The International Covenant of Civil and Political Rights were enshrined in the constitution in 2007. If all provisions of the ICCPR had been enforced, there would have been enforcement of all concepts of justice in practice, in this democratic socialist republic. But, this did not, and is not, happening. Instead, the obnoxious PTA which negates the provisions of ICCPR, is rigorously enforced, only in the case of a certain ‘class’ of citizens. YEAP !!!!! WITH 82 MINISTERS AND DEPUTIES AND MANY MORE IN THE WINGS. Come Ranil to be appointed PM the 02nd time, all members of the parliament are going to be Ministers, D/Ministers and State ministers. Including a Minister to oversee the FRIDAY FORUM. a) existing Prime minister of the majority party was replaced by appointing a Prime Minister from the Minoirity party DESPITE WHAT IS STATED IN THE CONSTITUTION. earlier PM is yet to resign from the post. B) Mohan Pieris CJ removed and Shirani.B appointed at the STROKE OF A PEN. FUTURE OF THE COUNTRY HAD BEGUN EVEN BEFORE THE 19A. 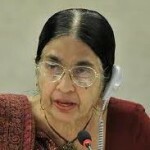 WHERE WERE YOU PROF. SAVITHRI ?????????????????? Is this intellectual nonsense or adultarated Colombo vinegar in the Achcharu ????? 19A was a mere hog wash similar to the Western promoted ICCPR. Where is the ICCPR statutes imposed? IN THE WEST ? ICCPR IS FOR THE WERTERN MAFIA AND THE INGOS TO THROTTLE THE WEAK. Thanks for highlighting the potential of the 19th amendment . The greater potential originally built into it, has been diminished by our parliament. It remains to be seen if our politicians will kill its spirit first and thereafter ignore it. I hope it also does not become another lost opportunity in our history, brought about by ‘ Small’ men, we seem to have in plenty. I am glad that you have outlined it as a beacon of hope, rather than an absolute reality. Further, I am glad that you have underlined the need for a new constitution and the point that it will not be imposed on us by our politicians. There should be a Constitutional Commission of eminent persons which should propose a constitution after in-depth study of various aspects and wide consultation, to our parliament. The politicians too can present their views to this commission. What the commission proposes finally should be adopted by parliament. Laws can not change people. It is the people who implement laws. What ever the law it will be smart people use it for their advantage. How did ancient kings in Asia have very just societies ? All the Legislation and that get passed in Parliament and get added to the Statute Book would never get implemented unless and until those in the Administrative Machinery are well “Disciplined” and act with “Honesty” and “Integrity”. We saw during the last regime how public funds were spent on “unethical” and “wasteful” expenditure in conducting meetings for large gatherings at Temple Trees by the then President. Even he undertook to “hand over” letters of appointments to various groups who successfully secured such employment. That we saw as “Bribes” or “Indirectly Influencing” the voters. What is happening today? The same thing is repeated by the present Prime Minister, who yesterday “distributed” letters of appointments to 1200 candidates who secured employment in Banks. All of them were summoned to Temple Trees and the Prime Minister was handing over the letters of appointment. Have we learned anything or made an attempt to get out of this “Syndrome” of posing to be the “God Mighty” in regard to disbursement of employment? This is worth noting by the people who are campaigning for that “MARCH 12” education of the masses on how to select the representatives to the Parliament. This whole lot must be sent home and there is no other option for the people. The title and context of the speech by SG reminds me of Bob Dylan singing, Blowin’ in the wind. The answer my friend is blowing in the wind! I hear it. “Infinite”. We keep writing constitutions and adding Amendments and writing new constitutions for the purpose of writing more new constitutions. All of the past constitutions, may be with the exception of the first one which the State violated. 2/3rd majority elect one or the other party and then they elected a despot and then a new leader only because two of the three communities with less numbers supported a minority of the 2/3rd majority to throw the despot out. It will be interesting to see whether the 2/3rd of the majority community can elect a parliament that would support MS and RW. Or will they bring the despot back. The answer my friend is blowing in the wind. The Tamil community is not going to have their rights restored unless they dance to the tune of the majority community. Such is “democracy” what “One Person One Vote” in a country where there is one community with 2/3rd of the voters. Where are the checks and balances? I don’t think the 2/3rd majority want any checks or balances on their actions. How long will it take before we repeat the bloody past? The answer my friend is blowing in the wind. The answer is right in front of our eyes that does not see. “…. A Commission, of which I had the honour to be the Chairman, was appointed by the British Government in 1944, to examine and discuss proposals for the constitutional reform of Ceylon. It did not take long to discover that the relations of minorities to majorities, and particularly of the Tamil minority in the northern and eastern provinces to the Sinhalese majority further south, were in the words of the Commission’s report ‘the most difficult of the many problems involved’. The Commission had of course a cursory knowledge of the age-long antagonism between these two communities, but might have been less hopeful of a solution had Mr. Farmer’s book been available to underline the deplorable effect of centuries oftroubled history upon the Ceylonese of today. …. Needless to say the consequences have been a bitter disappointment to myself and my fellow Commissioners. While the Commission was in Ceylon, the speeches of certain Sinhalese politicians calling for the solidarity of the Sinhalese and threatening the suppression of the Tamils emphasised the need for constitutional safeguards on behalf of that and other minorities… As Sir Charles Jeffries has put it in his admirable book, Ceylon -The Path to Independence, ‘The Soulbury constitution . . . had entrenched in it all the protective provisions for minorities that the wit of man could devise’. Nevertheless, in the light of later happenings, I now think it is a pity that the Commission did not also recommend the entrenchment in the constitution of guarantees of fundamental rights, on the lines enacted in the constitutions of India, Pakistan, Malaya, Nigeria and elsewhere.